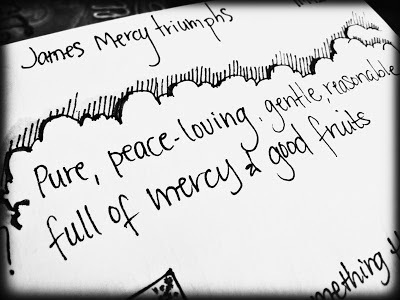 Mercy: n. a refraining from harming offenders, enemies, etc. A disposition to forgive or be kind. 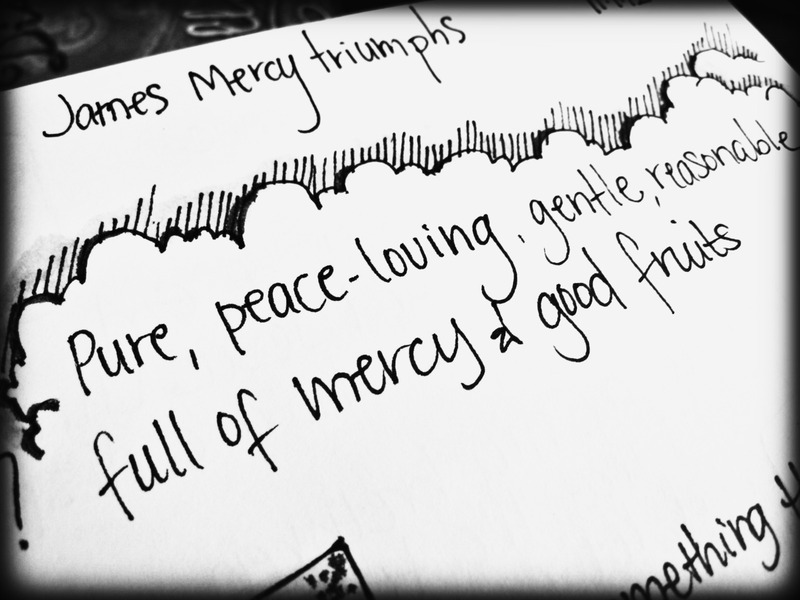 Mercy received thankful from my Jesus. Mercy so often not extended to my boys. 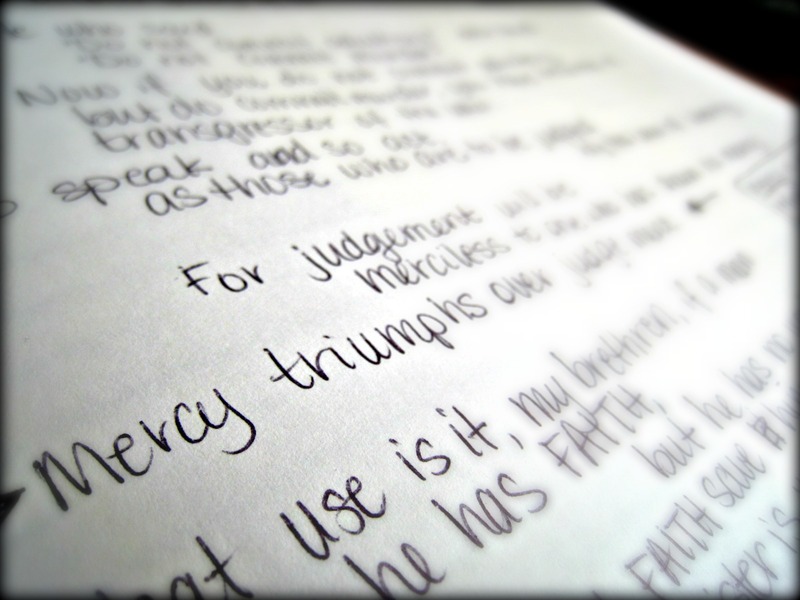 Oh how I pray I will err on the side of mercy more often. especially in today's ugly, sinful, in-your-face culture. Even in the ugly and muck of hormones and teenage attitudes. as you have continued to show mercy to me. That relationship is what matters. someone who I don't have relationship with? with my teen boys right now? -It is realizing that one of them learns the hard way... which means it's going to be hard to watch him go through painful experiences from his choices, but it is HOW he learns. I've yet to see real learning/change happen based on one of my many, many lectures, no matter how brilliantly I speak. -It means giving up the battles that aren't directly related to God, relationship, or character. I cannot fight every. single. battle. Right now, I'm choosing to step back on a few areas and instead relinquish them to prayer--grades, food, room cleanliness, etc. -It means I'm taking up my sword and armor and running headlong into other battles. Battles over how he treats others. Battles within myself when I want to lash out in anger. I love your heart... and how transparent you are in the process. But I wish it wasn't always so hard for you. Thanks Kari.